Two and a half hours of clear sky at 04.February 2014 were sufficient to hold the SN in M82 and take a long walk on the winter night sky. Very fine sketch of the supernova. Well done Uwe, this is a very nice souvenir of this SN. 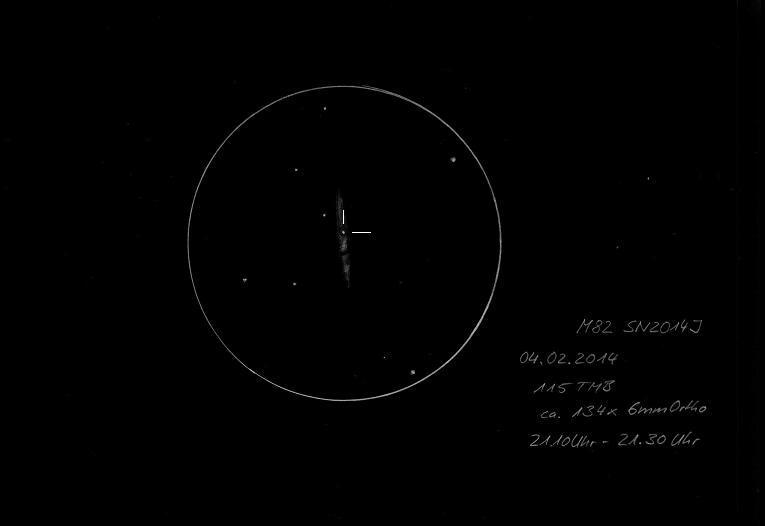 Uwe, since I haven’t been able to get out observing since the Supernova, it’s a real treat to view your sketch. It makes me feel like I’m at the eyepiece.